**This price is for 2 people, to be private trips, the price will vary according to those who make the trip. Arrival at Casablanca, meeting at the airport and transfer to the contracted Hotel. 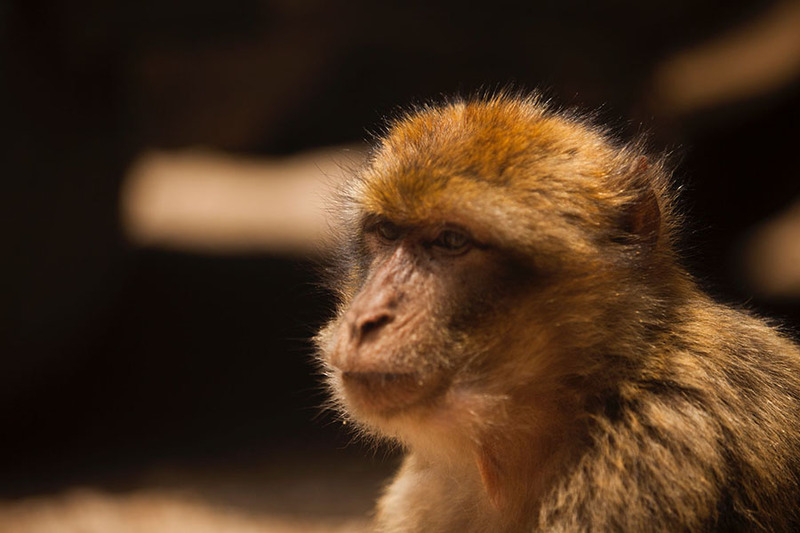 Casablanca – Rabat – Asilah. 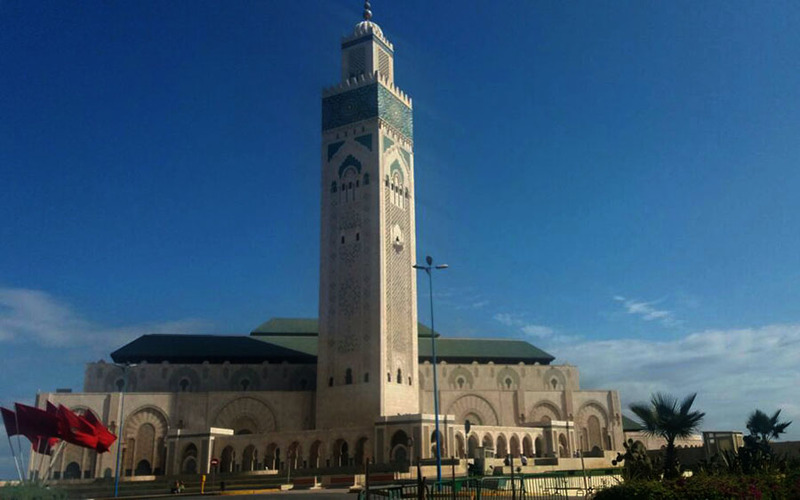 The idea of building a Grand Mosque was of King Hassan II, who wanted a building that would represent for North Africa as well as the statue of liberty to the United States. The temple was born as evidence of faith, as a major religious event, in the more secular City between the Moroccans. It was to revitalize the national pride and strengthen fidelity to the Quranic precept, weakened by Western culture, and attach it to the process of economic revival of Morocco and its impetuous tourism development. After the visit we continue our way to Rabat, fourth imperial city. This city is a curious blend of the historical tradition of the past and modernity established herein. It was founded by Abd al – Mumin in the 12th century, and used the kasbah (“fortress”) as a base to fight against the Spanish. It was during this period when its most emblematic buildings, were built as they can be the Tower of Hassan and the Kasbah des Oudaias. This city became the bastion to the Muslims expelled from Spain in the early seventeenth century. We continue to Asilah where we arrive in the afternoon. Accommodation. Asilah – Tánger – Tetuán – Chefchauen. After breakfast we will visit the quiet Asilah, stands to the North of the Atlantic coast Moroccan, 50 km south of Tangier. It has a busy history, having been controlled by Phoenicians, Greeks, Carthaginians, Romans, Arabs, Portuguese and Spanish, called Zilis (Phoenicians), perseverance (Romans) and Asilah (Arab). 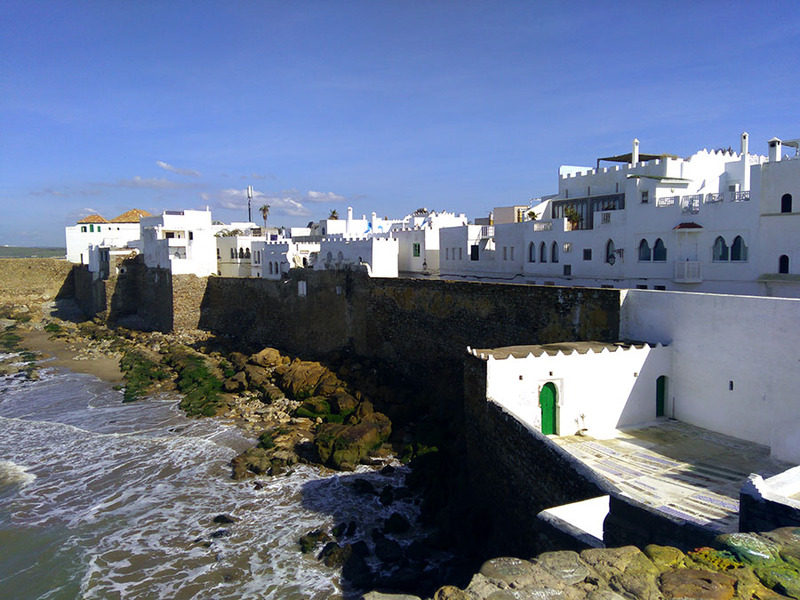 Asilah has without a doubt more clean and neat from Morocco, medina being its main tourist sites. Arab neo buildings are in perfect condition, fully restored and refurbished, white blue Sockets streets are paved on the orders of local designers, your lighting is unique, and its abundant floral decorations of individuals make relaxing walk through the medina, (a trip of relaxation by a medina is something really unique). 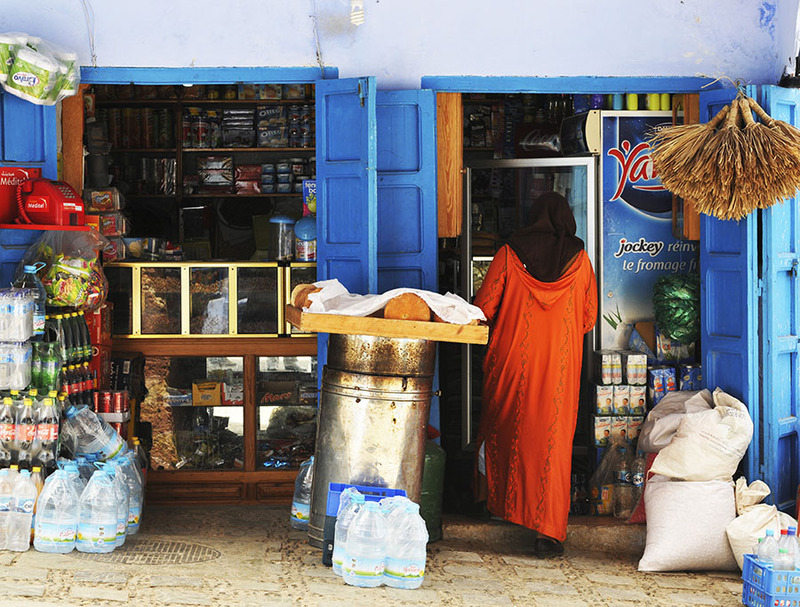 Barely there are the souvenir shops face to the foreigner have been implemented in most of the Moroccan medinas. There are still buildings from the time of the protectorate, as the medersa, dating back to the 1930s. 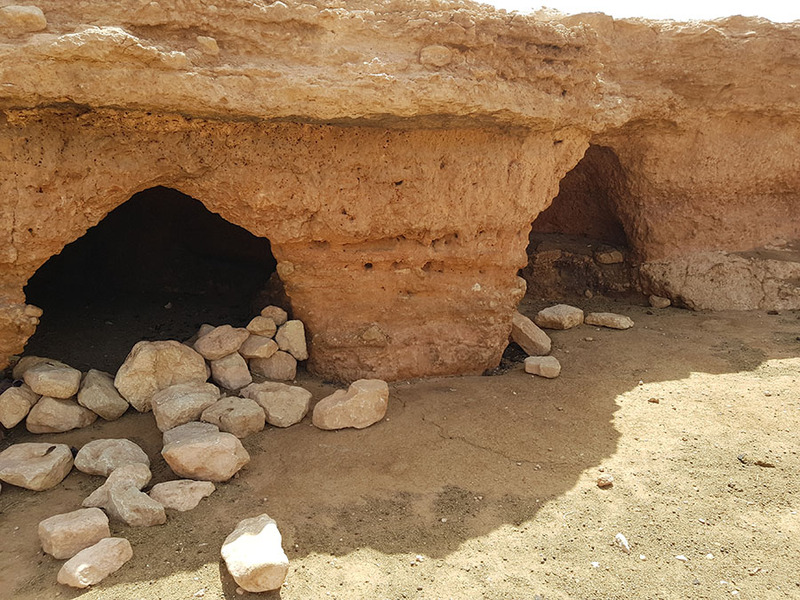 Follow road to Tangier, where you can visit the caves of Hercules, the stories about the city pay its foundation to Hercules, and the Roman hero sleeping in caves before performing the works that were entrusted to him by Eurystheus of Tiryns. The caves of Hercules give greater physical entity to the mythological accounts, in addition to being an extremely quiet and beautiful place where the sound of the sea makes it possible to rest. It is no surprising that Hercules had chosen this area to regain its strength. From inside the cave you can see the Majesty of the Strait of Gibraltar in a completely different way. With the entrance facing the Atlantic, the caves are flooded when there is high tide and its origins are debated. They are those who argue that they are natural, and those who say that an ancient civilization built the caves as shelter. 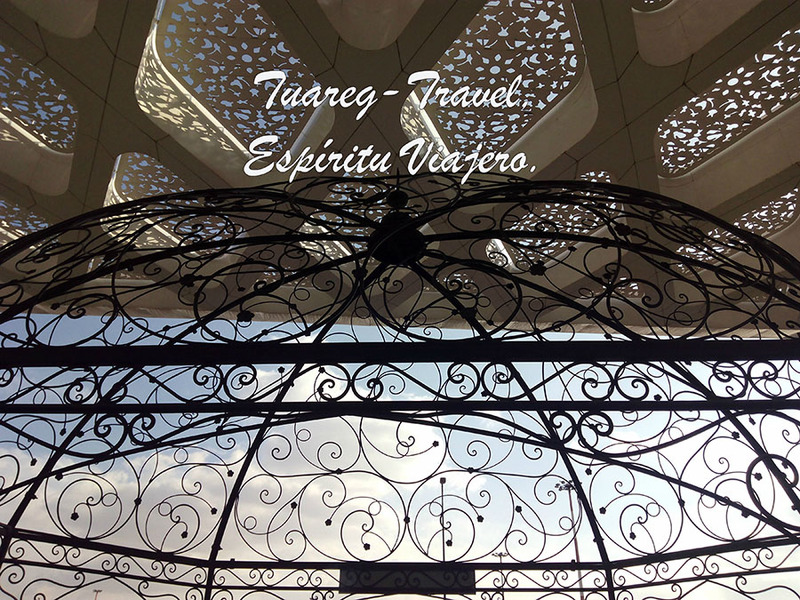 We continue to Tetouan, heiress of the city of Tamuda, its origin lies in the middle ages. Due to the proximity of the sea and navigable river, flourished in the maritime trade and piracy. 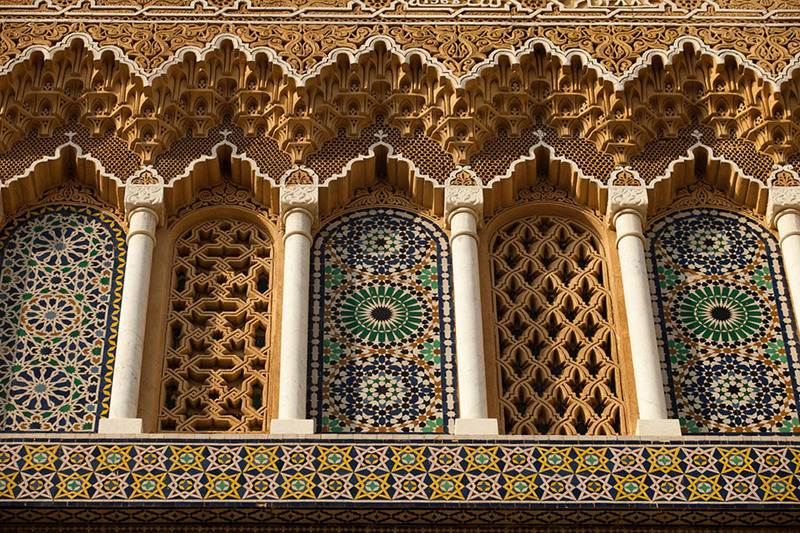 Hispano-Moorish city full of charm, Tetuan offers a blend of cultures without leaving aside its role as guardian and showcase of the most beautiful traditions. The Medina of Tetuán, and its unique network of narrow shaded streets, part of Unesco world heritage of the humanity of the. Its important Mellah (Jewish quarter), dubbed the little Jerusalem, is the liveliest place at nightfall. Here, the souks are well delimited and each Guild occupies a precise perimeter. It becomes a University with faculties of science, letters and Humanities, teaching, nursing and City Polytechnic. We continue to Chefchaouen. Accommodation. Day to enjoy the blue people. The Chefchaouen name comes from the Berber word shawen, meaning “horns”, due to the mountain peaks that dominate the city. Way that the Moroccan official name Chefchaouen (Shifshawen) means “regarded the horns”. This name became the Spanish initially as Xauen, although since recent times is used more Chaouen form. 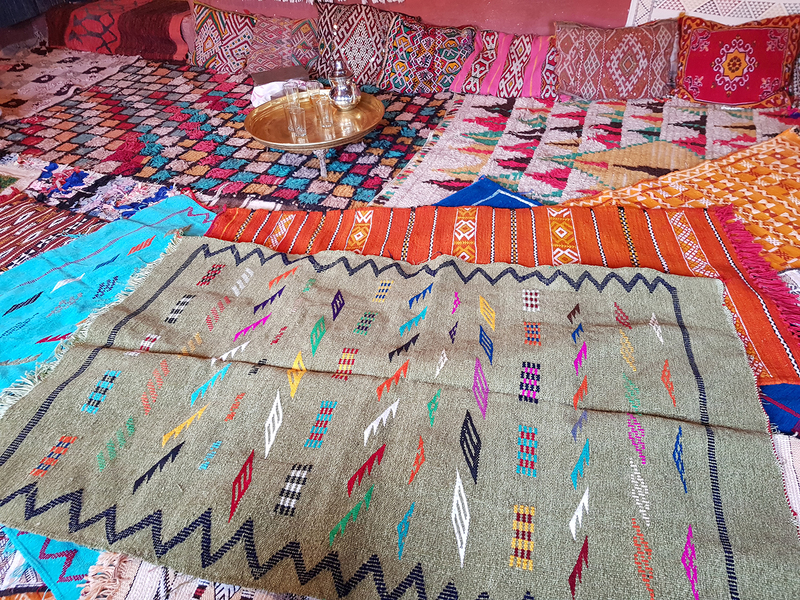 People of Chaouen has woven slowly and harmoniously a network inserted the city in its natural environment, whose elements has managed to transform into tangible deeds, magnificent architectures, delicious handicrafts and local flavours. But also in what you can not touch: music, social forms, ideas and beliefs. Chefchaouen – Volubilis – Meknes – Fez. We left behind in Chefchaouen and headed towards the Roman city Volubilis, which spread over a wide area and have magnificent views over the Valley and the hills. From here you can see below, visit the Holy City of Moulay Idriss. Non-Muslims are not allowed entry into the mausoleum of the main square, but it has beautiful views and small shops. 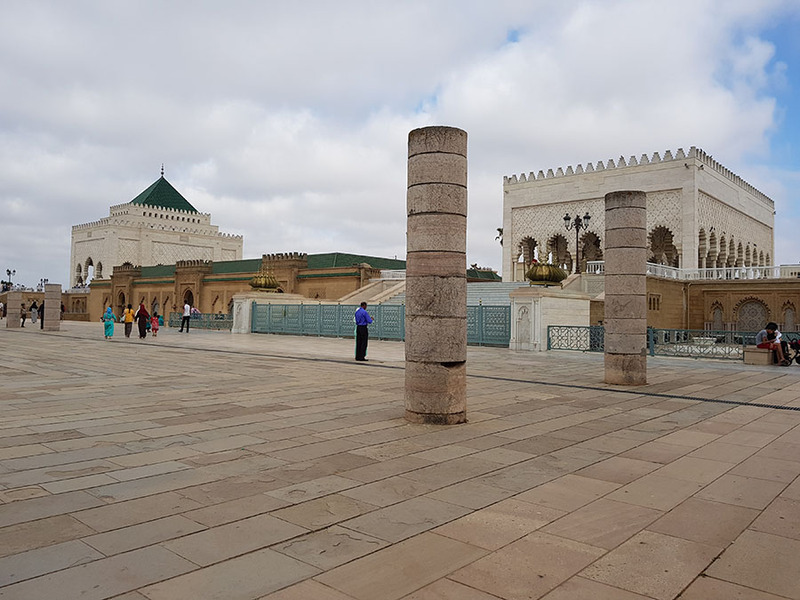 After the visit we continue towards Meknes, the fourth unknown Imperial City, call also Meknes, it takes its name of the Berber tribe that was founded with the name of Meknassi, where you can visit Bab Mansour, one of the most famous places in Morocco, the mausoleum of Moulay Ismail and barns. We continue towards FES where we spend the night. After breakfast visit guided by the Medina of Fez. Into the streets of the medina (old city), we will feel that time back: the trade union structure is still present in the work, the narrowness of the streets not allow other means of transport than asses and a constant tingling sensation of people moves through the labyrinthine streets in the middle of which surprised neighborhoods as the Andalusians and magnificent mosques and Koranic schools. FES has been always associated with the study and religiosity, and remains the spiritual capital of Morocco. 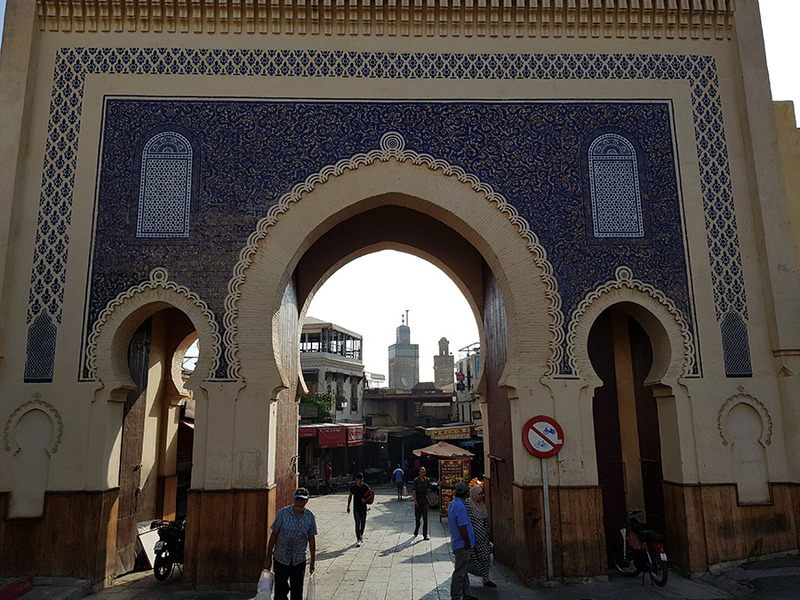 After visiting the medina, another option is to walk aimlessly through the streets of FES-Jdid, where you will find the Royal Palace, the Mellah (Jewish quarter) and the oldest mosque in Fez. Fez – Ifrane – Azrou – Midelt – Valley of Ziz – Desert. After breakfast, departure to Midelt passing through the mountains and forests of the Middle Atlas Cedars. Step by Ifrane, a charming ski and Azrou station, an important center of craft businesses specializing in the works of cedar wood. After the Zad (2178 m / 7146 ft), will arrive at Midelt for lunch. In the afternoon, we descend towards Erfoud and Errachidia the Ziz Valley, dotted with Palm trees. Continuing to the Erg Chebbi sand dunes. Dinner and overnight in wilderness. After breakfast, departure to Khamlia, the village of black. There we will enjoy of Gnawa music. The village of Khamlia is located in the South-East of Morocco. Specifically in the shadow of the dunes of Erg Chebbi. For over a hundred years it has been inhabited by a mixture of Berber, Arab, and different tribes of Subsahariano origin. In Khamlia greater tribe are the Bambara. Also called them Gnawas, so is called the descendants of the slaves that came from black africa. In the past the villagers earned is life working in the fields and oasis to rich farmers. We were herders of camels and goats. 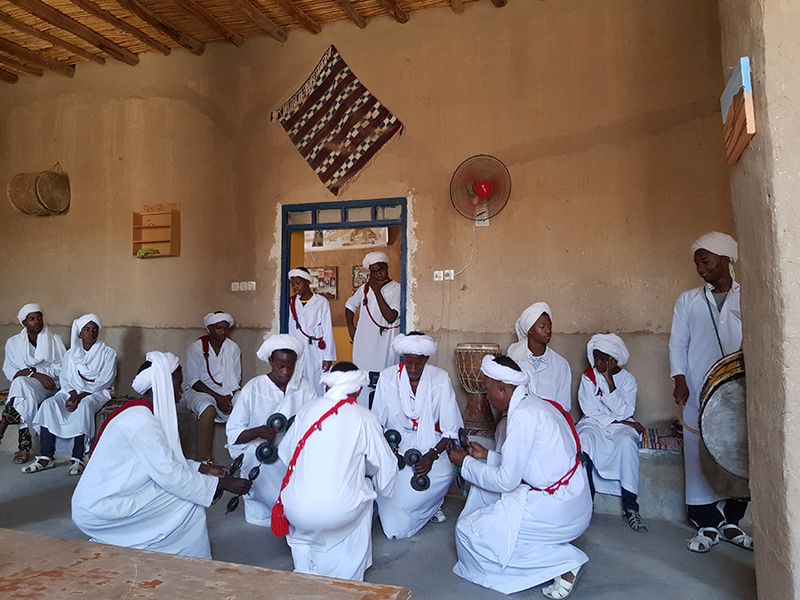 Now they are especially famous for their hospitality and Gnawa music. The music, Khamlia Gnawa or Gnaoua music has its origins in sub-Saharan africa. Slaves from Senegal, Sudan and Mali brought it there. The Gnawa music that played in Khamlia is a type of very famous and special music. It is a mixture of Bambara, Berber and Arab languages. When they sing, they move all over the body except the head. We will continue the way to visit an oasis, set of perfect pipes of water that cater to the plantations of the nomadic families in the area. Food and rest in the place agreed upon with the Guide. In the afternoon excursion by camel to delving into the dunes and enjoy the beautiful sunset. Desert – Rissani – Erfoud – Gargantas de Todra – Boumalne Dades. We woke up before dawn to watch the sun rise. Return to the hostel in Dromedary. Shower and breakfast. Departure to Rissani. 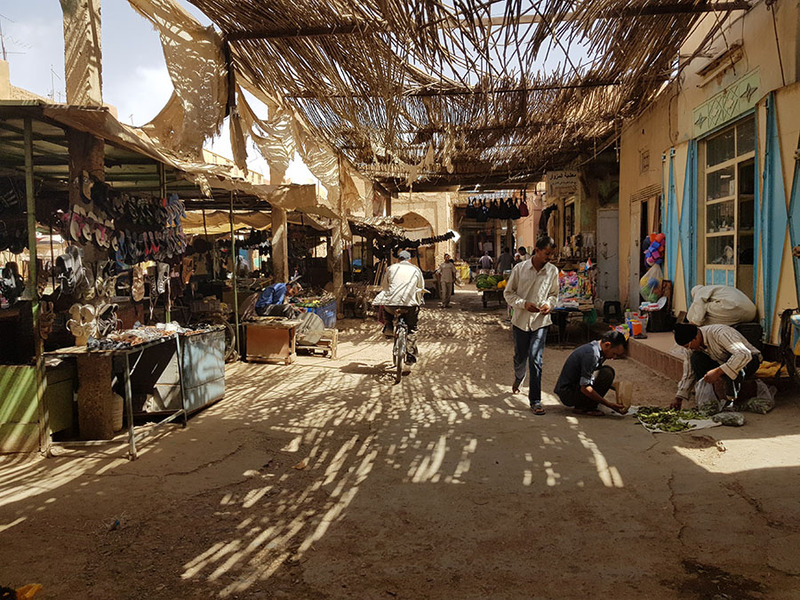 Visit its market which is the largest in the South, where are all the nomads of the desert to do their shopping, then we left Erfoud where we will visit the factory of fossilized marble and continue towards the palm groves of Touroug and Tinjdad. We will arrive at one of the strong points of the South: the Todra gorges. The runway of the Todra River has formed a Gorge of vertical walls of enormous proportions and beautiful; It is a paradise for climbers and a unique place. Lunch and walk half an hour to see the Gorges with peace of mind. In the afternoon we continue towards the Dades Valley passing through Boumalne. Dinner and accommodation in the Gorges of Dadès. 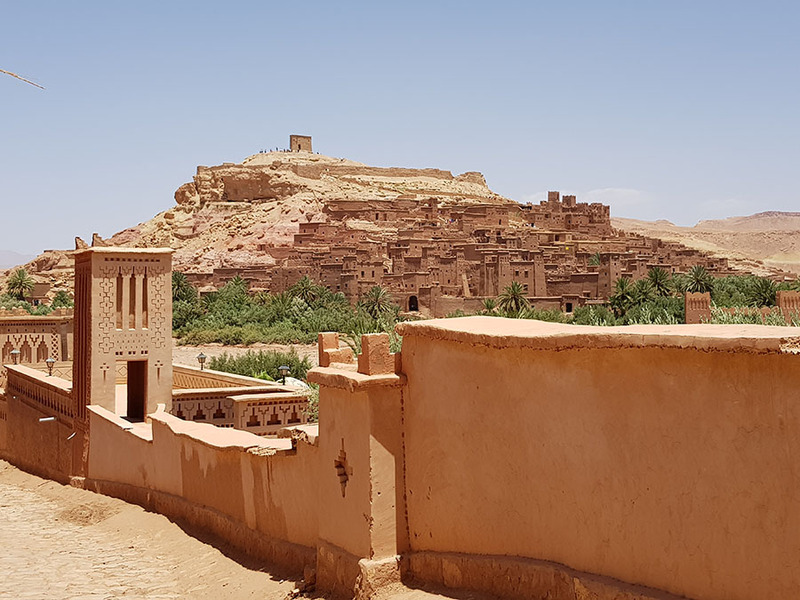 Boumalne Dades – Boutaghrar – Valley of Roses – Ouarzazate. After breakfast we took the opportunity to visit the beautiful valley of Dades, then follow a road dirt that it will take us to Boutaghrar, where we can see how berber families live in cave houses and we take tea with one of the families. We continue towards the Valley of roses, Kella M’Gouna, known for its roses and 100% natural products. We continue road to Ouarzazate where we spend the night. Dinner and accommodation. Ouarzazate – Ait Ben haddou – High Atlas – Marrakech. In the morning we went to visit the Kasbah Ait Ben Haddou, 190 km from the tourist town of Marrakesh, Morocco. 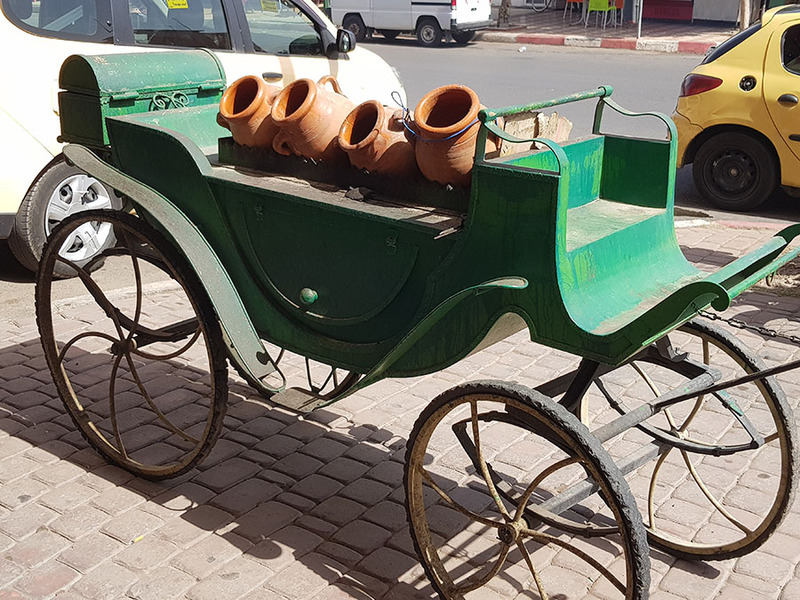 It’s a spectacular village of clay and stone buildings surrounded by large walls, aspect that makes it one of the most beautiful places in Morocco and obliged point of visit for all those tourists who plan to meet the North African country. The kasbahs were formerly large Berber villages walled designed aiming to defend the harvest and the Palm trees that grow alongside its runways. These people were big business and agricultural communities with a very particular vision of the religion of Islam. AIT Ben Haddou is declared patrimony of the humanity by UNESCO, not to mention its high demand and recognition in the cinematographic field for the realization of great films such as Lawrence of Arabia and Gladiator, initiative, widely accepted by the locals due to the significant extra that it poses to the economy of the town and surrounding area. Some of the movies filmed there include: Lawrence of Arabia (1962), the jewel of the Nile (1985), Jesús of Nazareth (1977), the last temptation of Christ (1988), the Mummy (1999), Gladiator (2000) is in the Kasbah where Russell Crowe is sold as a slave, Alexander the great, (2004). At the end of the day arrival at Marrakech. Rest of the day free time. After breakfast, departure to the airport depending on time of flight. Pick up at the airport on arrival, also transfer the Riyadh airport at the end of the trip. Official Guide for visitors of Fez and Marrakech. Vehicle 4 x 4, equipped with air conditioning. Half board, breakfast and dinner. Accommodation in hostels, kasbahs, Berber tents and riads, (depending on the place). Excursion by camel in the desert. Visits referred to in the circuit. Dinner at Casablanca, Asilah, Chefchaouen, Fez and Marrakesh by the customer.